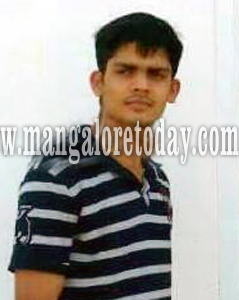 Kasargod, Mar 23, 2017 : Twenty six year old Kishan Shetty hailing from Mugu Kinnimajalu who was employed in Muscat has died under suspicious circumstances with his body found in a deserted area about 500 meters away from his residence. His family here is aghast upon hearing the news and is making arrangements to bring the mortal remains back to hometown after necessary formalities and post-mortem. Kishan was the son of Battu Shetty and the family was busy making arrangements for the house warming ceremony of a new house built at Beerikunja near Mugu. The ceremony was scheduled to be held in April and Kishan had planned to visit his native place for the ceremony. But, as fate would have it he has met an untimely death. It is being said that his body bore injury marks. Meanwhile, the possibility of Kishan committing suicide has also not been ruled out. These days working overseas doesn’t seem safe. Recently one from Hyderbad was shot in US. Whatever our country itself is safe for us we may earn less but are secure din some way.